Police say Carmelita Vergez made a false report of a man being fatally shot in her home, leading them on a chase across state lines and back. Police in New Hampshire say a woman told them a man was fatally shot and was in her home and then led them on a chase into Massachusetts and back before she was arrested. Officers searched the residence, but no body was found. Police in Nashua, New Hampshire, said they had contact around 5:30 p.m. Wednesday with 54-year-old Carmelita Vergez, who told them that a man had been shot and was dead inside her home, but drove off as they attempted to learn more. 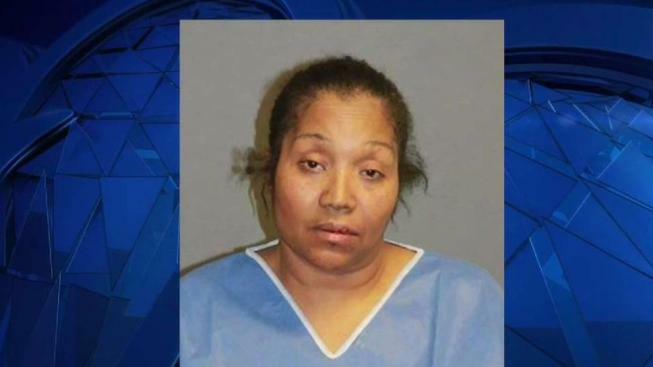 They said Vergez got into her 2004 Honda Odyssey and led them into neighboring Tyngsborough, Massachusetts, where she caused a minor collision before driving back to Nashua, a total of about 20 miles. Police said her car struck another car after police deployed spike strips, and she ran down an embankment toward the Nashua River before being arrested. No one was injured. The Exit 6 northbound off-ramp from the F.E. Everett Turnpike was briefly shut down to conduct the accident investigation. Nashua police were assisted by New Hampshire State Police and Tewksbury police. Vergez faces two counts of disobeying a police officer, two counts of conduct after an accident, one count of resisting detention and one count of resisting arrest. It wasn't immediately known if she had a lawyer.